#TsarskoyeSelo. #Pushkin. #SaintPetersburg. #StPetersburg. #BestOfStPetersburg. #SaintPetersburgPrivateTour. #CatherinePalace. #RussianPalace. #AmberRoom. #RussianEmperors. #RussianTsars. #StPetersburgArchitecture. 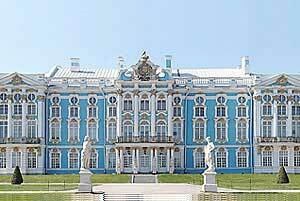 Catherine Palace tour St Petersburg Pushkin. 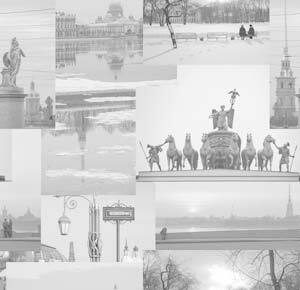 Guide St Petersburg Pushkin. What to see in St Petersburg Russia. Things to see in St Petersburg Russia. St Petersburg tourist attractions. Amber Room in Catherine Palace St Petersburg Russia. View the best St Petersburg cruise tours. Usually the tour to Catherine Palace takes about 4 hours, as it is 24 kilometers from St. Petersburg. If you have a possibility to spend the whole day in the country, we recommend you to take a combined tour of Catherine Palace and Pavlovsk. Pavlovsk is a former residence of Emperor Paul I, the son of Catherine the Great. It is located 10 minutes drive from Catherine Palace. In this case the tour will take 5-6 hours. More detailed information about Catherin Palace you can find on the official cite of the museum. Alexander's Palace - a palace which was used by the last Russian Tsar Nickolas II and his family as their private home. You can see a number of exquisite Modern style interiors designed for the last Royal family and a very interesting exhibition devoted to the story of their life and martyrdom. It is located in Pushkin, 5 minutes walk from Catherine Palace. The tour will take about an hour.